A luscious flavoured lip gloss made with 100% Organic Castor Oil & Coconut Oil, plus Organic Pomegranate & Green Tea Extracts for natural softness and nourished lips. 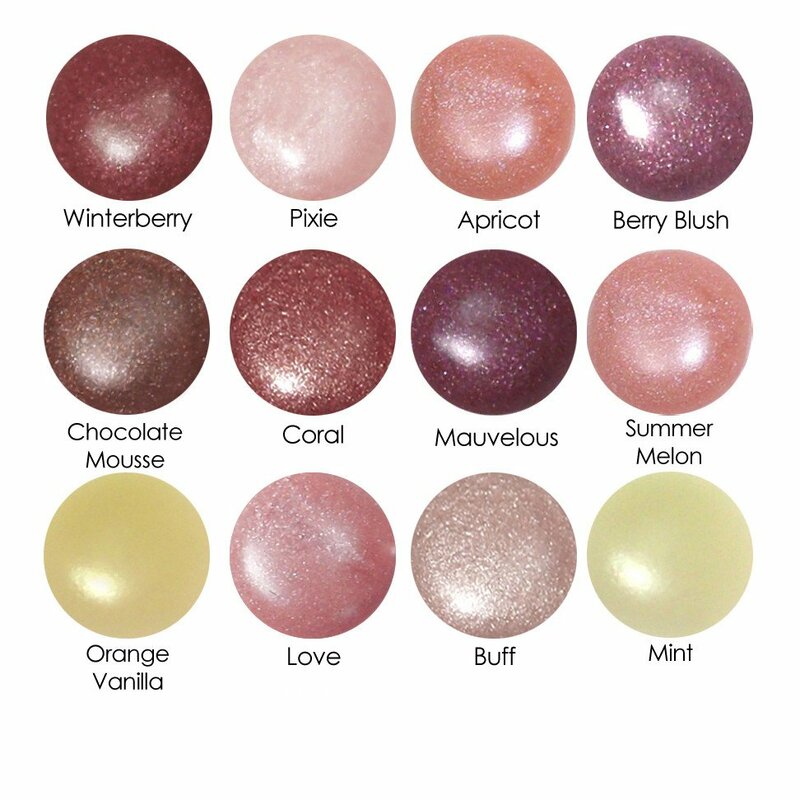 Choose from our natural colours and clear flavour glosses for a beautiful shine & the perfect finishing touch. Ingredients: Certified Organic Ricinus Communis (Castor) Seed Oil, Certified Organic Cera Alba (Beeswax), Organic Cocos Nucifera (Coconut) Oil, Ricinus Communis (Castor) Wax, Non-GMO Stevia Rebaudiana (Stevia) Extract, Certified Organic Camellia Sinensis Leaf Extract (Green Tea) Extract, Non-GMO Natural Vitamin E Oil, Certified Organic Rosmarinus Officinalis (Rosemary) Leaf Extract, Certified Organic Punica Granatum (Pomegranate) Extract (+/- Mica, Certified Organic Citrus Aurantium Dulcis (Orange) Peel Oil (Sweet Orange) Essential Oil, Certified Organic Rubus Idaeus (Raspberry) Extract, Certified Organic Mentha Piperita (Peppermint) Oil, Certified Organic Mentha Viridis (Spearmint) Leaf Oil Certified Organic Vanilla Planifolia Fruit (Vanilla) Extract). *Note: ALL are vegan except the Mauvelous shade which contains a small amount of Carmine for natural colouring.